Making his A-League debut in the first match of the season for his current club Melbourne City FC, David Villa did not disappoint. 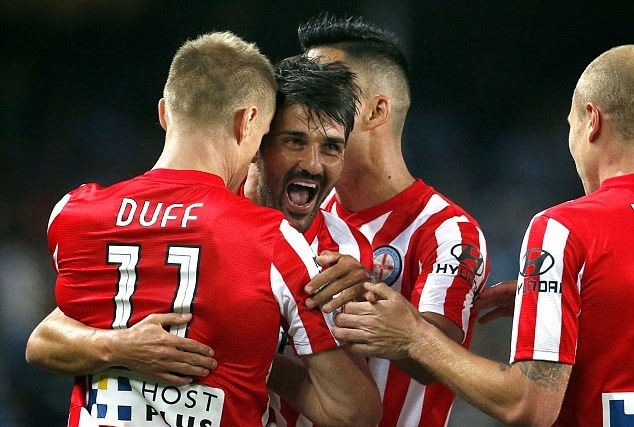 With the help of former EPL winger Damien Duff, Villa put the ball in the back of the net to tie the match against Sydney FC and earn his side a point. News of the Spanish striker scoring in his very first match is probably being celebrated even more in New York City than it is in Melbourne. The former Barcelona player is on loan in Melbourne before the 2015 Major League Season begins, at which point he will be joining the club that owns his contract, New York City FC. NYCFC's manager Jason Kreis will be happy with the results he has been getting out of his players, footballers who have yet to ever play for him. Frank Lampard has been performing admirably in his loan spell at the parent club of both NYCFC and Melbourne, Manchester City. He even scored the match-tying goal against his former club Chelsea. 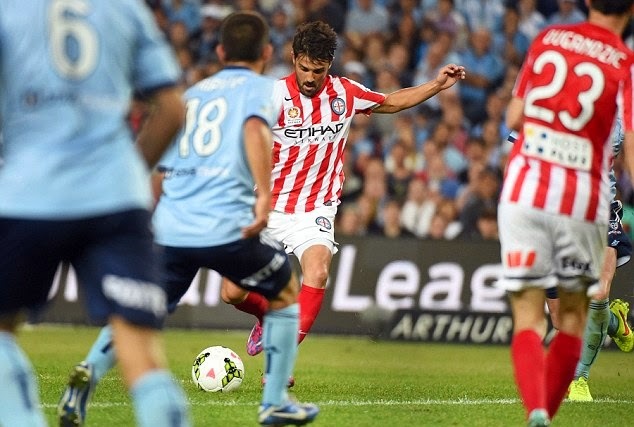 And now David Villa began his loan spell with a bang. The future looks good for the new MLS club if Lampard and Villa can create the same kind of results when they are on the same side in New York. The duo has a potential of becoming one of the most lethal in Major League Soccer history and if their loan spells say anything, is that it is likelier to happen than not. This was Villa's first competitive match since the World Cup in Brazil, where his side crashed out in the very first stage in shocking manner.